In this review of the JBL PRX812W we are going to covering 5 important areas which include key features, what we like, pros and cons, who is this product best suited to and what customers who have bought the speaker are saying about it. Wireless Control: – One of the most unique features that the JBL Speakers have is wireless control. They feature built-in Wi-Fi that allows you to control the speakers from afar. A PRX Connect App is also available so you can control the volume levels, EQ, and the speaker delay — all through your phone. This means you can amp up the sound from anywhere in the venue. 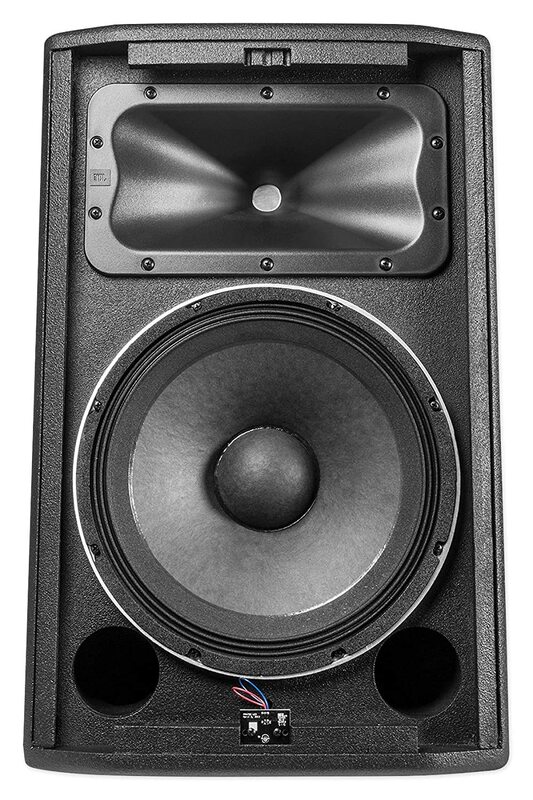 Multiple Input Technology: – The Speakers also feature a redesigned Crown Input technology which includes XLR inputs, ¼ inch inputs as well as RCA inputs. This allows you to choose one according to your preference. Also included is the XLR loop-through and a universal power supply, so everyone can use these. 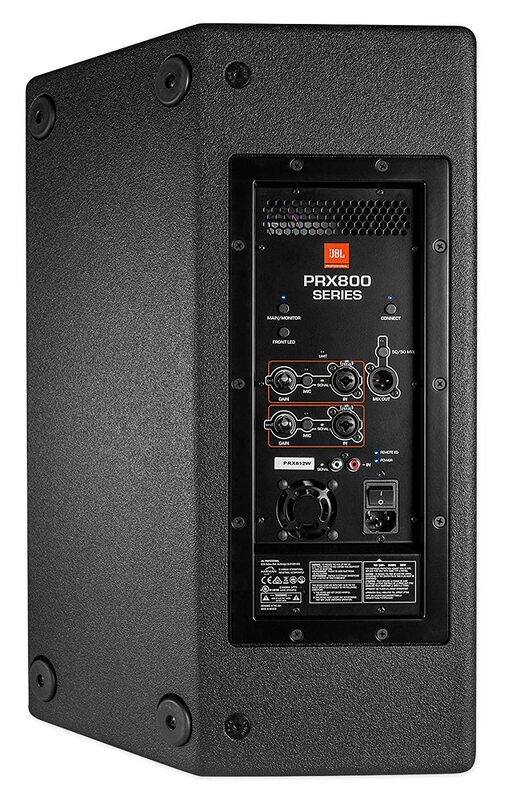 1500 Watt Amplifier and Transducers: – To ensure the loudest of sounds, the JBL Speaker Monitors come equipped with a premium 1500 Watt Class-D Amplifier that delivers maximum power. The unit features JBL Differential Drive Transducers as well. These ensure an enhanced performance while having a reduced driver weight. The transducers deliver better heat dissipation and a higher SPL as well as a higher dynamic range. Durable Cabinets: – The wooden cabinets these speakers come in are durable. This increases the life of the speakers and protects the internal components as well. The cabinets feature a DuraFlex finish which is increases longevity in all of your tours and concerts. Apart from that, the 16-gauge grills are dent resistant, so you can rest assured your DJ speakers will always be in shape. Variable Speed Fan: – Also featured is a variable speed fan that allows the speakers to cool down when they become overheated. However, the fan only activates when needed. This helps in reducing any noises that would have otherwise disturbed the performance of the speakers. Durability: – The first thing we noticed was how durable the cabinets were. They seemed to be very sturdy and strong. The DuraFlex finish enhanced the durability of the unit. It protected it from any scratches. The dent-resistant grilles seemed to hold up pretty well too. All in all, we found that the unit would potentially last you a long time. Clear Sounds: – Not only did the DJ Speaker deliver on the clear sounds, but it delivered them at a high volume. This tells us a lot about the potential of any speaker. We liked that the fan was not a problem and that it only activated when it was needed. This ensured clear and undisturbed tones. We were surprised to see how well it performed on the low-frequency bass sounds. This was due to the bass reflex system. Ease of Use: – We found the JBL speakers to be quite easy to use. Part of the credit goes to the user-friendly app which helped us control all aspects of the notes. The indicator lights made it easy to use the unit. For example, the yellow LED indicated when the peak output sound was achieved. Clear, crisp sounds at high volumes. Easy to use and control from afar. Come in pairs for balanced EQ. Fan contributes to noise and disturbance. 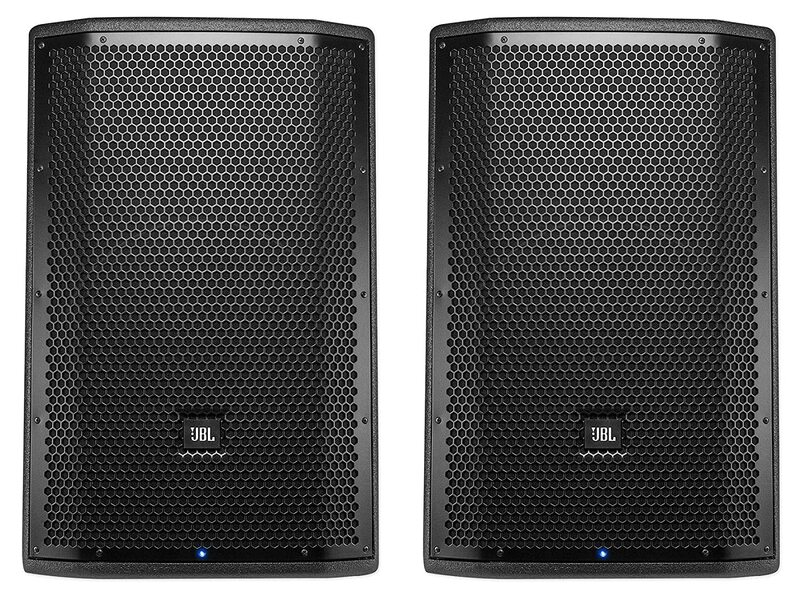 As the name suggests, the JBL Speakers are best suited to be used by DJs who perform in intimate concerts or on tour. Since they come in pairs, it is quite easy to balance the sounds. They are perfect for playing clear sounds at high volumes which is a must for any performing DJ. Moreover, their bass reflex design just seals the deal. However, since these speakers are small, they can also be used by amateurs and audiophiles looking for unerring sounds. Even producers and singers can use these to record and listen to their music. They seem to be perfect for home theatres, as they will provide users with a surround sound kind of experience. Most customers seem to love the amazing Wi-Fi wireless technology. They all agree that using speakers have never been so easy. They can easily use them from anywhere around the house. Others noted how durable the units were while most loved that they came in pairs. Almost all users thought that the sounds were quite clear and accurate. However, a small portion of the users seemed to think that the fan could be replaced, as it contributed to noise when it was activated. Some customers also complained that perhaps the speakers could be a tad bigger in size. 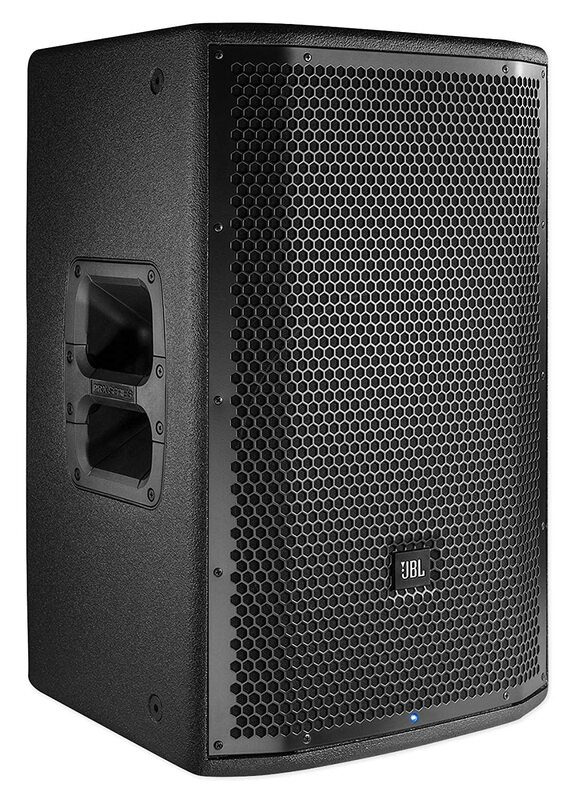 All in all, the JBL PA DJ Speaker Monitors are perfect for professional as well as recreational uses. With its clear pitch even at high volumes, it is bound to help you create the perfect sounds. The innovative wireless technology ensures you can operate the speakers from afar.